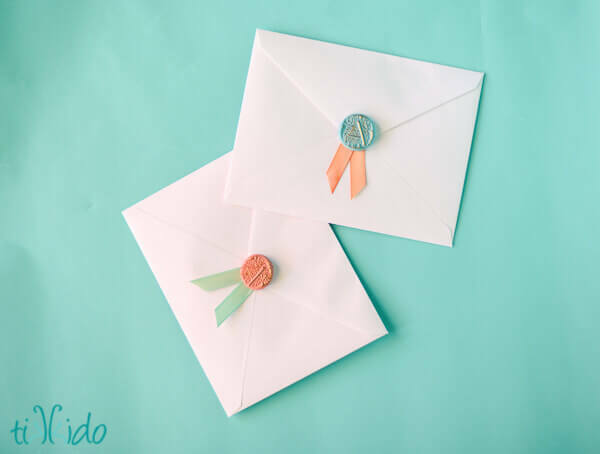 Make durable faux wax seals for your envelopes and favors that won't crumble! They're made out of polymer clay like Sculpey or Fimo. 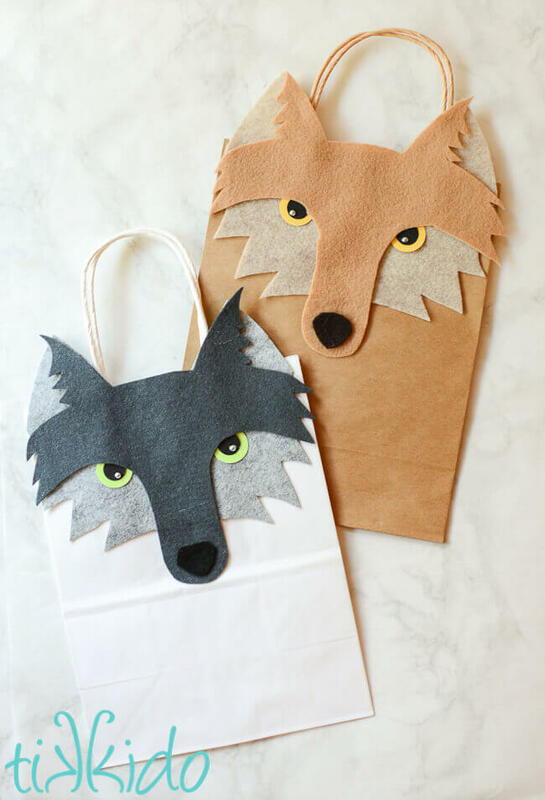 Add them to invitations, envelopes, favors, and so much more. 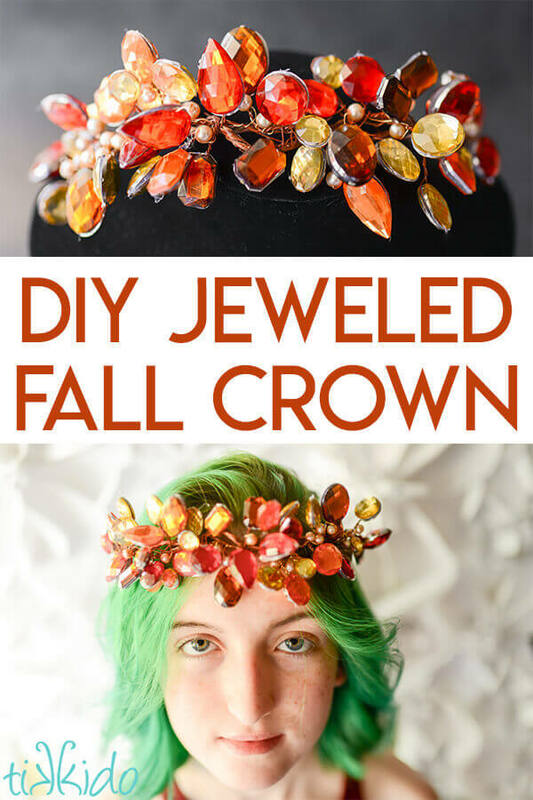 It only takes about 15 minutes (including baking time) to make up a bunch of these beautiful embellishments! 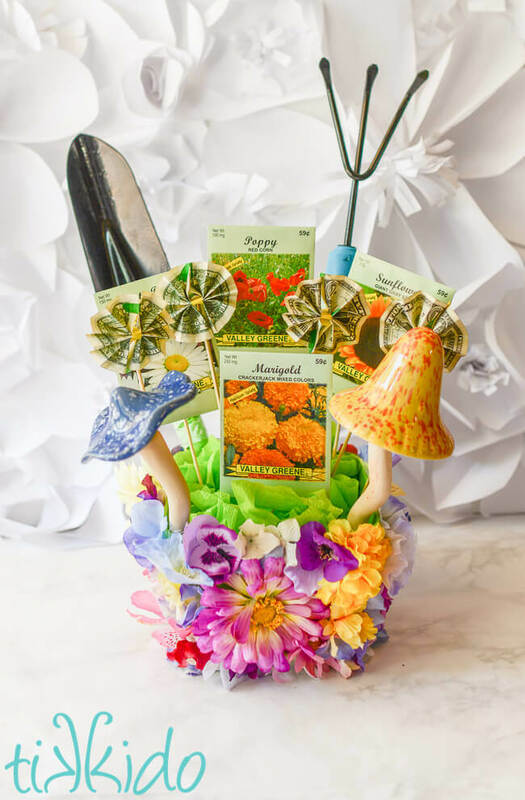 Make this flower garden themed gift basket for Mother's Day or Teacher Appreciation Week using just items from the dollar store. 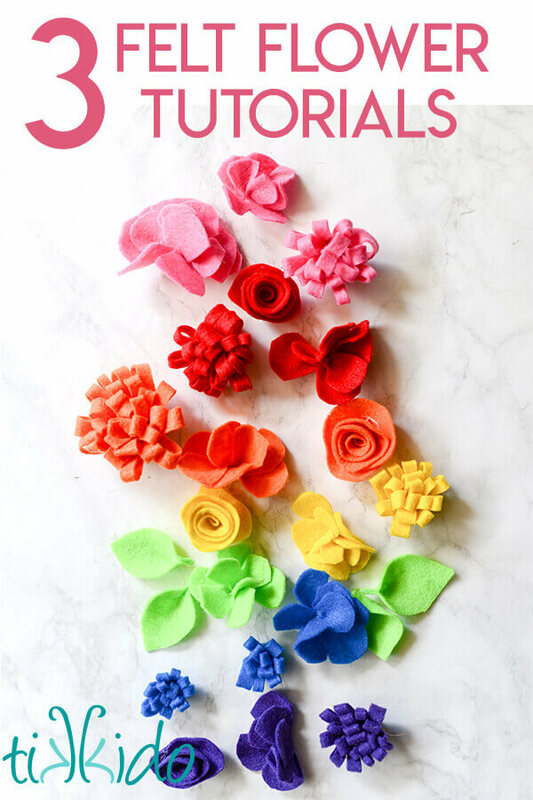 The Teacher appreciation Week version includes instructions on how to make easy origami flowers out of cash. Planning a party with fiesta flair for Cinco de Mayo or Dia de los Muertes? 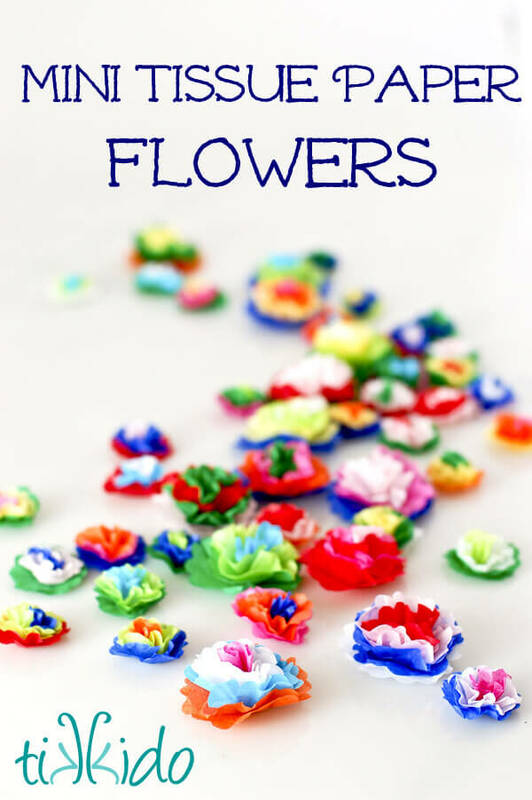 These miniature tissue paper flowers look like the classic Mexican folk art tissue paper flowers and make the perfect party embellishments. 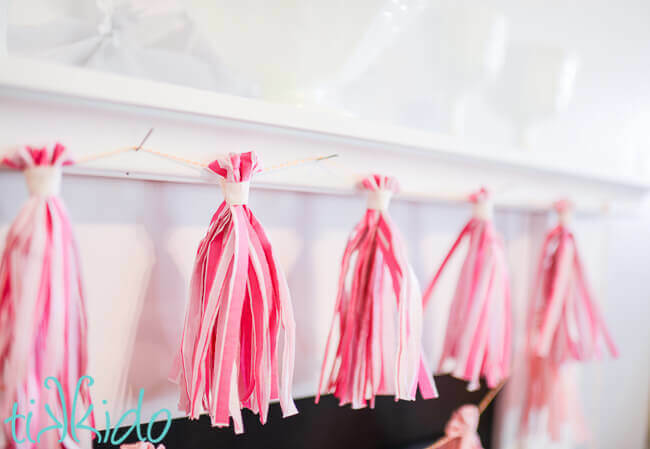 Make an incredibly easy, inexpensive tissue paper tassel garland by using one clever shortcut: make them out of colorful paper napkins! The paper napkins cost less than buying all that tissue paper, and they're already cut to the perfect sizes. 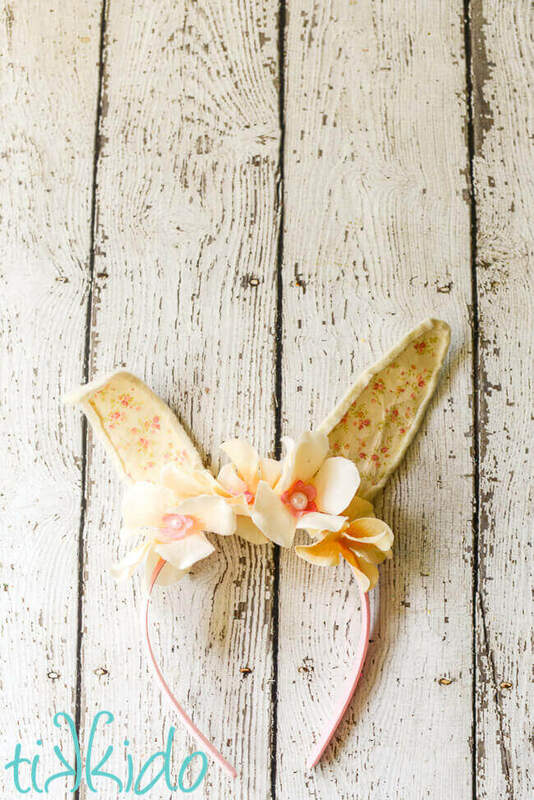 Make this charming Easter headband with felt, calico print floral fabric, a fabric covered headband, craft wire, and some artificial flowers. It's incredibly easy to make, and thanks to the wire, the ears are actually posable and full of personality! I love beautiful gift wrapping! And I really love it when it gives you a little hint at what might be inside the package, like this boho style gift packaging. 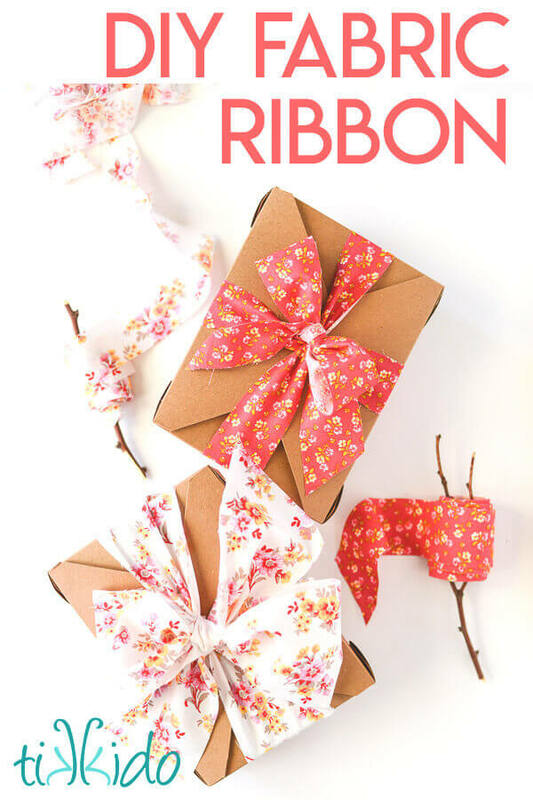 This package is wrapped in pretty wrapping paper, of course, but then accented with leather and lace instead of ribbon, and a gift topper made with feathers and silk flowers. 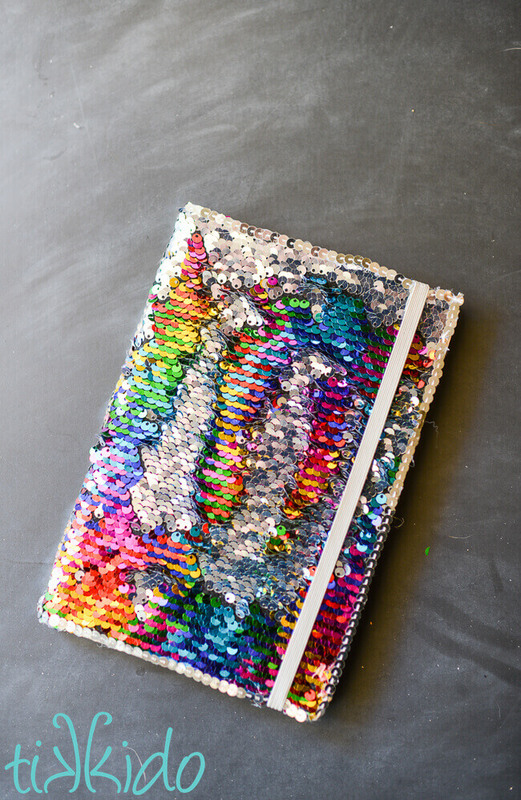 A beautiful mix of materials. 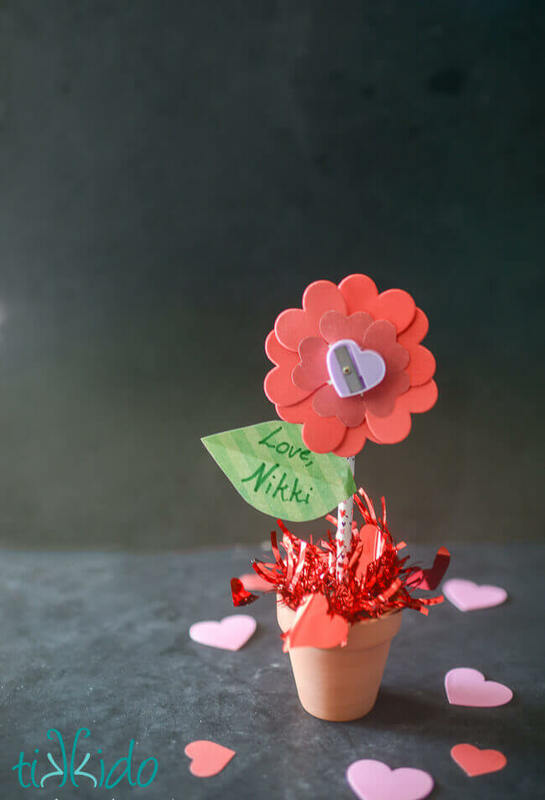 Turn stationary products like pencils, pencil sharpeners, and stickers, into a cute flower shaped Valentine's Day gift. Only costs $0.55 cents each, too! What kid wouldn't love getting a pencil, pencil sharpener, and stickers for Valentine's day? I know I would have! 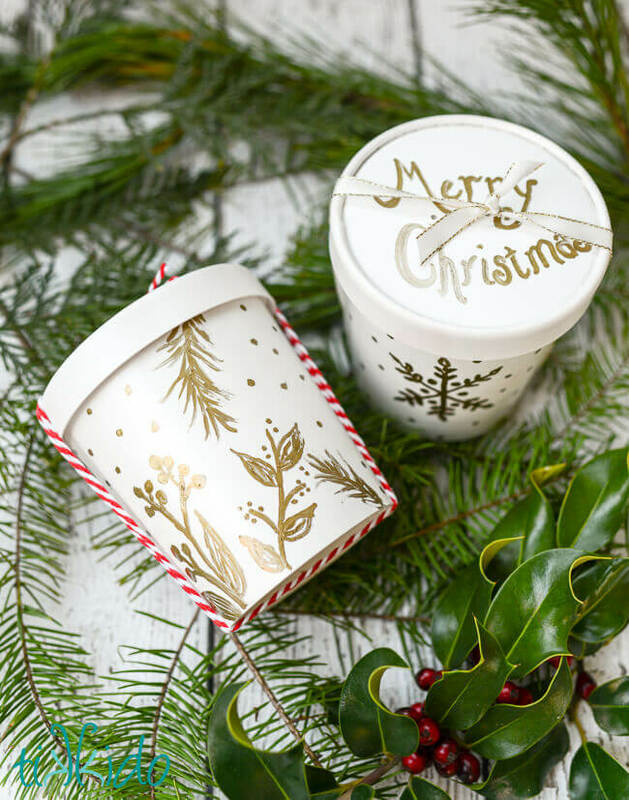 Turn a plain takeout container into a beautiful, gold-embellished container for those homemade Christmas cookies you give to neighbors. I was inspired by the beautiful gold foil designs on my Christmas cards this year. 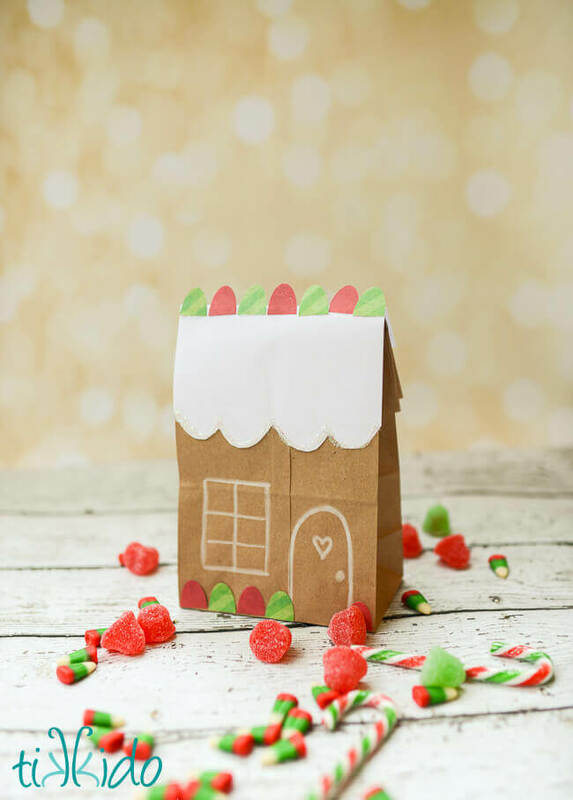 Turn a brown paper lunch bag into a cute little gingerbread house. Perfect for giving delicious homemade gifts to friends, neighbors, teachers, and more. It just takes a few scrapbooking supplies (like an oval punch and some glue) to create this adorable Christmas package. Tutorial for making a surprisingly easy stone facade for a gingerbread house out of royal icing. 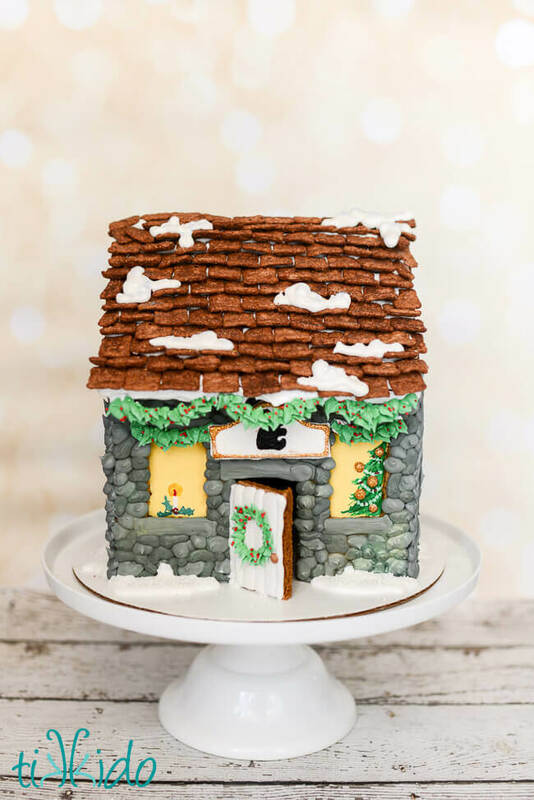 Perfect for a rustic, adorable gingerbread cottage like this one, made for a fabulous charity group called PANDA.